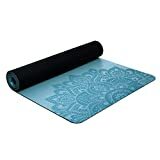 YOGA DESIGN LAB | The Infinity Mat | Luxurious Unique Non-Slip Design Provides Unparalleled Grip to Support and Align You Beautifully | Eco-Friendly | 4 Colors | w/Carrying Strap! This studio quality pro mat blends high performance luxury with a sleek textured symmetrical design to assist in alignment of your poses and provide unmatched grip. Ideal for all yoga and fitness practices, with just the right amount of cushion. The Infinity Mat, a yogi essential. 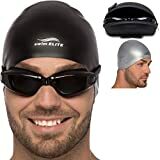 Great for beginner, intermediate, advanced, men, women, and kids! Spray with a natural mat cleaner or biodegradable soap and wipe with a non-abrasive sponge or soft towel. Air dry only and avoid direct sunlight. We do not recommend using any sprays with oils as they can potentially damage the Infinity Mat. 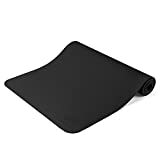 PERFORMANCE: Premium non-slip yoga mat offers superior wet or dry grip. The beautiful laser cut mandala print helps to align your poses. EASY TO CLEAN: Spray with a natural mat cleaner, essential oils or biodegradable soap and wipe with a cloth. Allow to air dry. DISCOUNT YOGA SET OFFER: Buy two or more YDL products and get 10% or more off your order. Scroll down to Promotions section for codes.